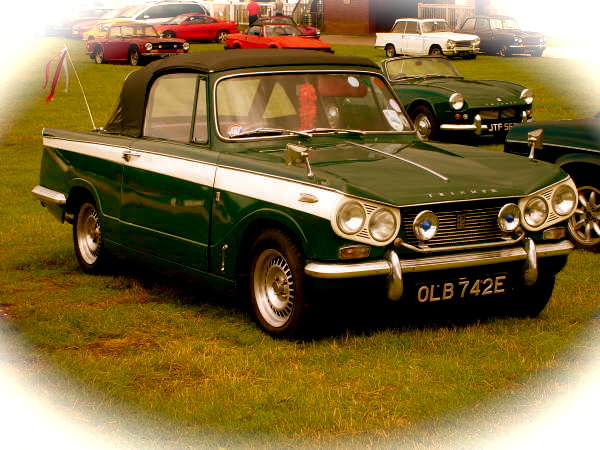 Tony’s time-warp Herald 1200 Saloon. 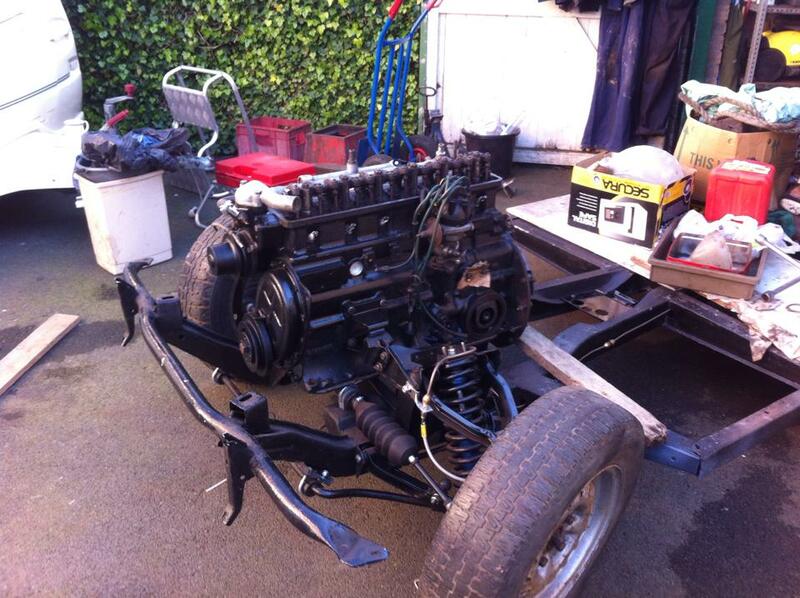 Brian’s Mk4 Spitfire, with a 1500 engine under the bonnet, he’s having a lot of fun! 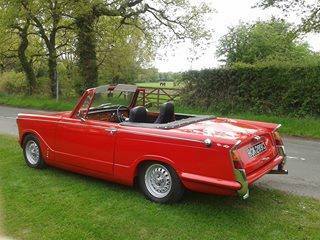 Steve & Cath’s 1200 Herald Convertible. 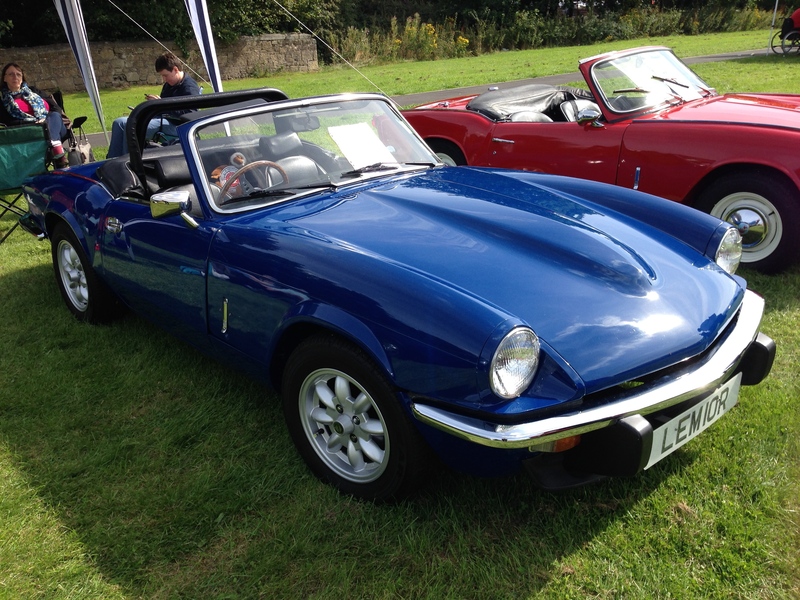 Superb restoration with a few sympathetic upgrades such as a Spitfire 1500 engine, gearbox & wheels, GT6 brakes and Mazda MX5 seats. Alex’s Mk3 Spitfire. Strawberry Wheels Forever? 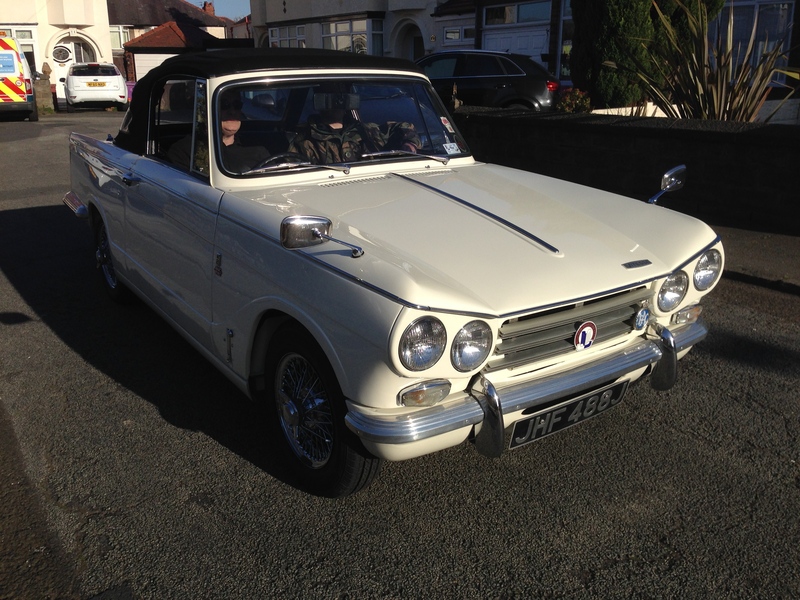 Dave’s Mk2 Vitesse Saloon – newly resprayed and looking good! Courtesy of Lee, a GT6! 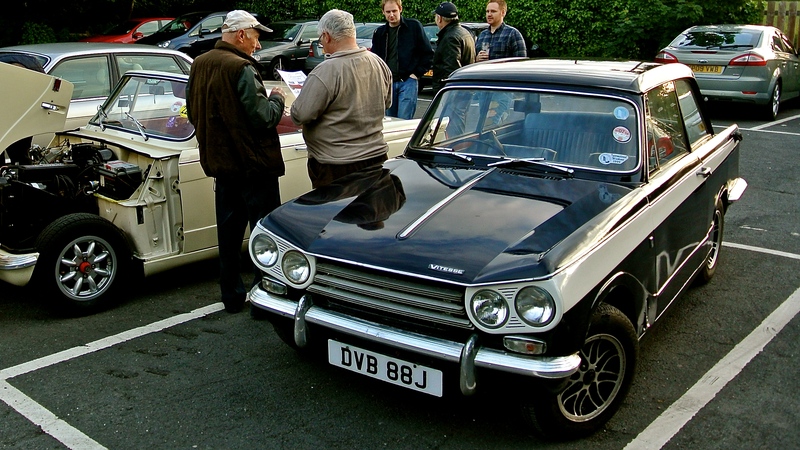 Like Brian above, he’s having a lot of fun with his Triumph. 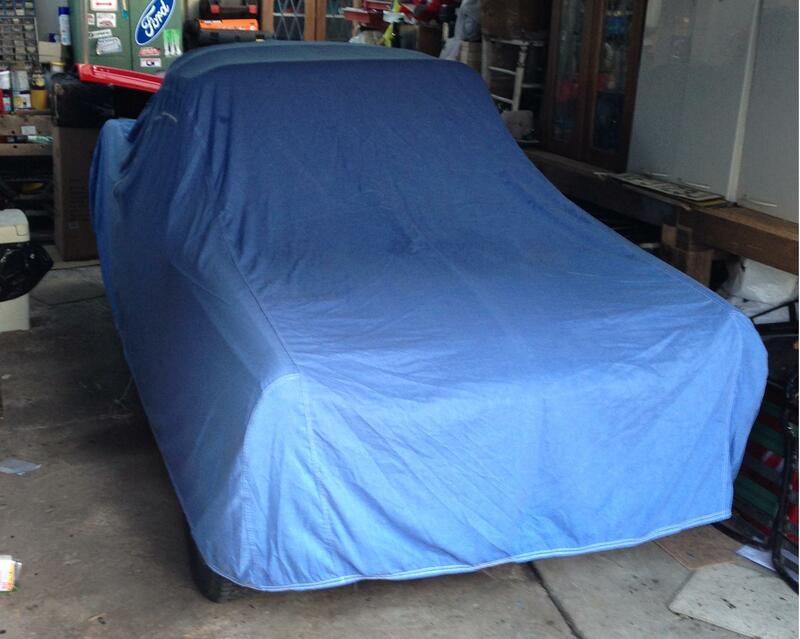 Stuart’s Herald Convertible – nearly ready [the tease]. 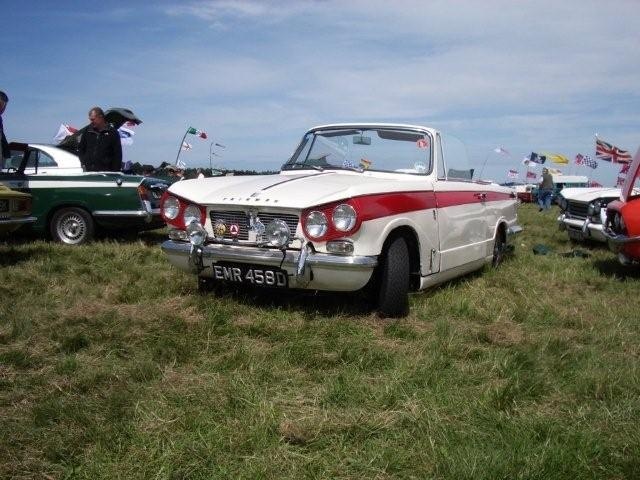 Another Vitesse, this time of the rarer “6” variety, owned by Steve. 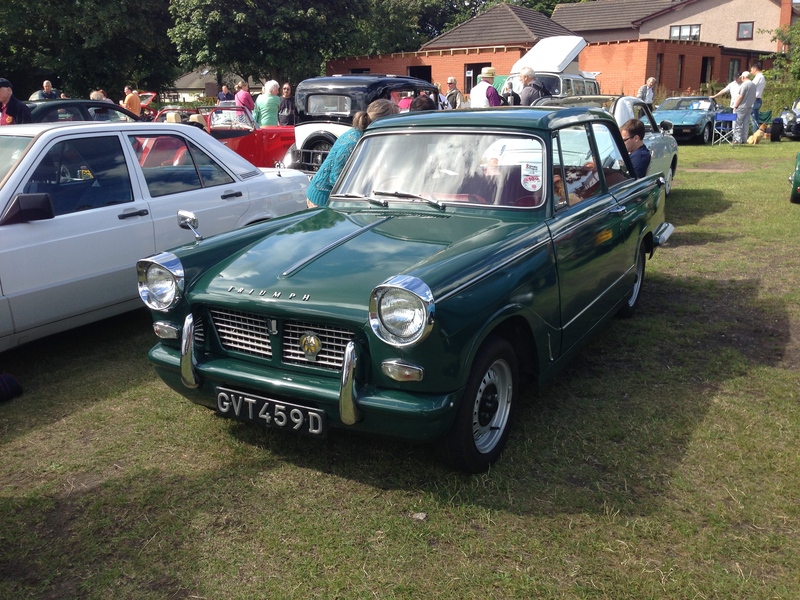 A very original early car, believed to have had no restoration work at all! 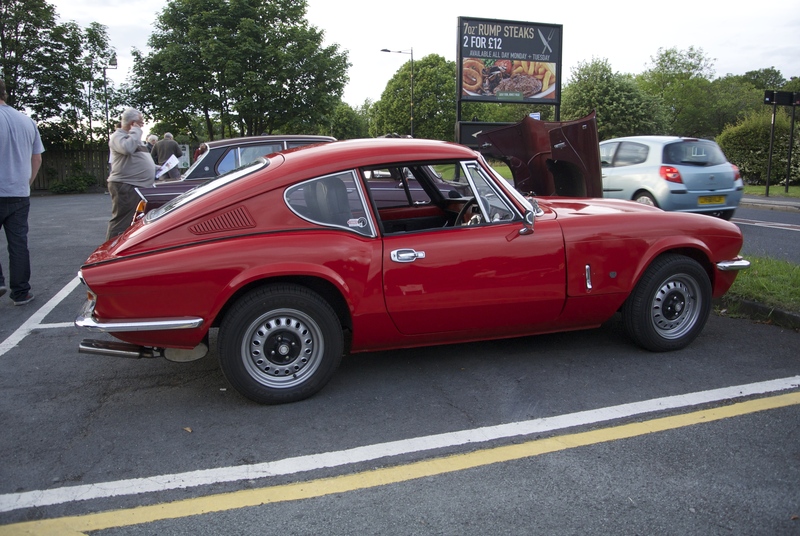 Dave’s Vitesse Mk2 Saloon. Taking shape! Body on soon! 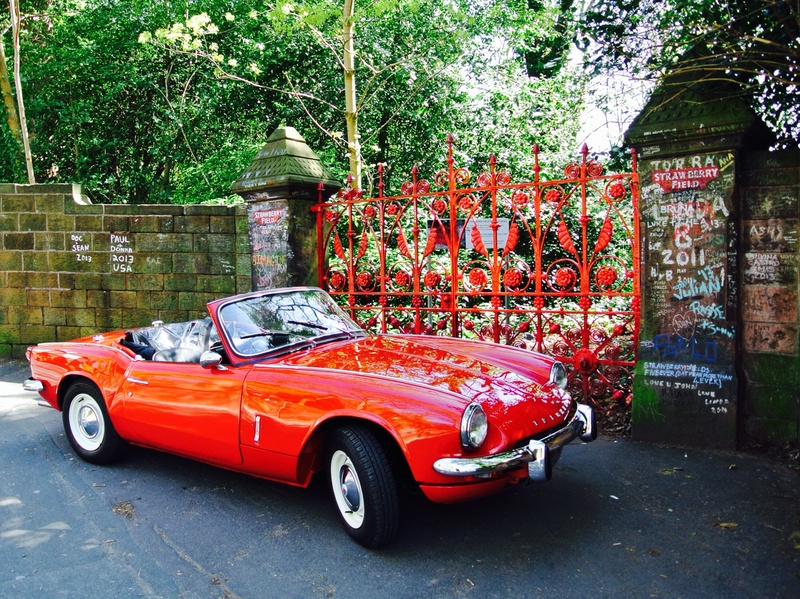 Dave’s 1500 Spitfire. He’s owned it from new! 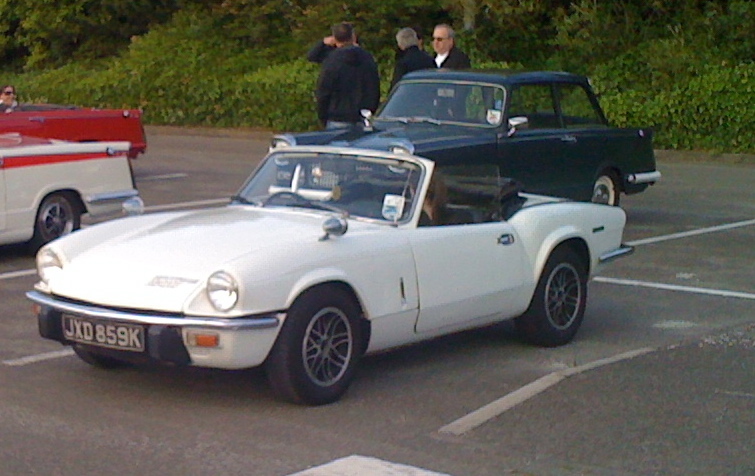 Simon’s newly restored Bond Equipe ‘6’.